Legal Services of the Hudson Valley (LSHV) and My Sisters’ Place (MSP) held an Open House on Wednesday, October 11th at their joint offices at 100 East First Street in Mount Vernon to celebrate the 10th Anniversary of their collaboration in Mount Vernon to assist low-income families and individuals facing life-threatening issues such as domestic violence and homelessness. Since their collaboration began in the city 10 years ago, the organizations have impacted more than 13,000 residents through their efforts. 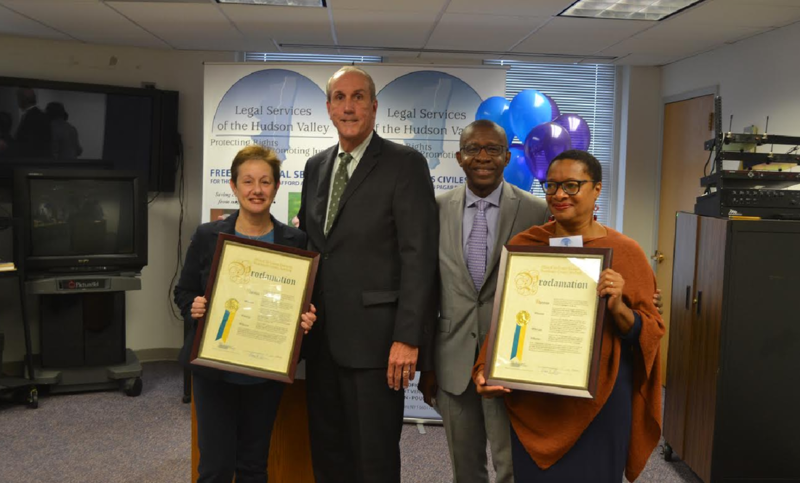 LSHV is the only nonprofit provider of free comprehensive civil legal services to the seven counties of the lower and mid-Hudson Valley across a wide range of urgent legal issues including: domestic violence, housing emergencies, disability law, elder law, healthcare, consumer fraud and more. In 2016, LSHV handled more than 15,500 cases impacting more than 36,000 household members. In Mount Vernon, the organization handled just under 900 cases impacting just under 2,000 Mount Vernon residents. These individuals represent our neighbors – mothers, veterans, frail seniors, children with disabilities – who after facing one major illness, job loss, or tragedy, found themselves in a desperate situation and in need of a helping hand and an attorney to fight for their rights. 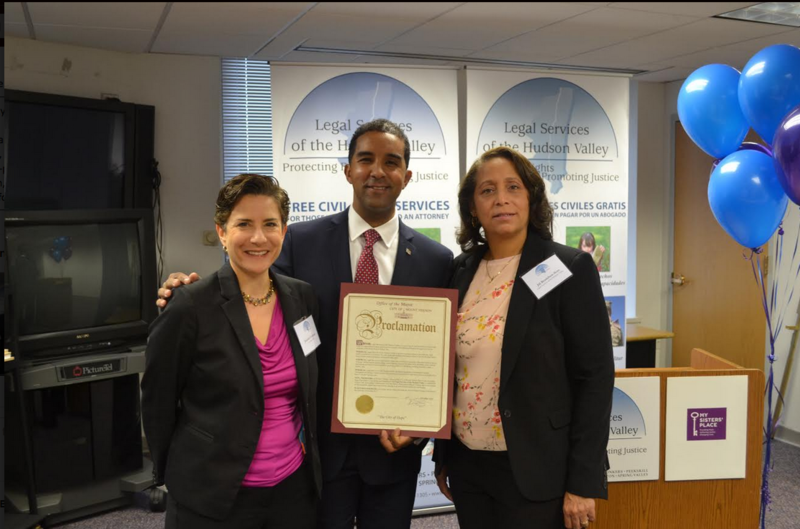 Several legislators and public officials were on hand to help the two organizations celebrate this milestone anniversary, including Westchester County Legislator Lyndon Williams, City of Mount Vernon Mayor Richard Thomas, and New York State Senator George Latimer.